Dora Reads: Nerd Church - Dreamers, BE YOU! Nerd Church - Dreamers, BE YOU! This one's for the dreamers; for the writers, the bloggers, the vloggers, the artists, the entrepreneurs. Never f**king give up. Show your stars and your scars to the ever-loving world. And most importantly, be you. Don't be someone else's idea of you. Don't do what everyone else does when they wanna stand out from the crowd - BE YOU. Sure, you'll struggle to define your 'brand' that way - I mean, wtf is my brand exactly?! Punk nerd?!?! Bookish Rebel?!?! Geek rock?!?! Weird bird profile pic and half-a**ed graphics with stock photos?!?! BUT - I never hide my walking-contradiction-ness from you, my dearest nerdlets. Because f**k it, if I'm gonna do this, I'm gonna do it MY way. Unless, in your heart of hearts, you can tell me that you utterly ADORE the vintage washed-out pastels accompanied by swirly fonts and stylised flowers, that I see absolutely every-damned-where, then ditch them. IF IT AIN'T YOU THEN DITCH IT, M'K? How many times have you heard 'the next J K Rowling' or 'the next Hunger Games'...? And guess what, IT'S NEVER THE NEXT J K ROWLING OR THE NEXT HUNGER GAMES. I don't care if you're diving for seaweed (people do that, right? That's a job...?) or smacking a dustbin with a baseball bat (what you do on your own time is up to you. #NoJudging) DO IT YOUR WAY. Don't try to be other people. YOU are not other people. You're you. 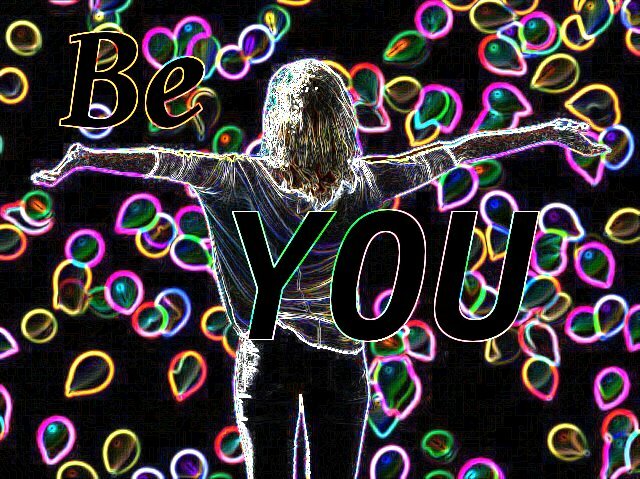 So BE you. Go out my nerdlets, and show the f**king world what you can do! Lol, I am declaring this the Blogger Manifesto!! There is so much advice out there for all the creative people in the world and people trying to make it big, but do it your own way! Like with writing, there are rules. Know them, and then know when to break them. Hahaha DO people dive for seaweed? Also I completely agree. Could you please go back in time and give teenage me some pep-talks?